We have designed and developed the adjustable height workbench for the multipurpose applications. It is strongly constructed structure with rigid welded joints. It is ideally supports the different kind of applications, need different height options. It is provided with manually adjustable hand crank. It can be tilted from 0-45 degrees with good load capacity. It is available with different bases and casters. For some application it is provided with pneumatic drive. It is designed for sitting and standing position of the operator. Our workbenches are made through ergonomic techniques. 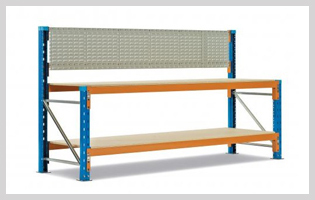 Adjustable workbenches are suitable for many industrial activities like packing, sorting of the goods or mail and also ideally used for the production line. They are passed through testing before dispatched. They are tested for various load and functions. It is made more convenient with adjustable foot rests and bin holders. It is provided with drawers and shelves as per demand. We also offer customized designs for adjustable height work bench. We provide customization for the various requirements of casters, parts, bin holders, adjustable foot rests and many more.